A Fire Detection System is number of devices working together to detect and warn people through visual and audio appliances when smoke, fire, carbon monoxide or other emergencies are present. Development of automatic and intelligent video surveillance systems has been the core trend in the security and guard service industry. By observing and utilizing features of fire event, a fast and exact detection process is developed for early fire warning purpose thus to reduce the loss caused by fire accidents. The proposed Fire alarm system is a real-time monitoring system that detects the presence of fire and captures images via a camera installed inside a room when a fire occurs. The embedded system used to develop this fire alarm system is Raspberry Pi. The key feature of the system is the ability to remotely send an alert when a fire is detected. 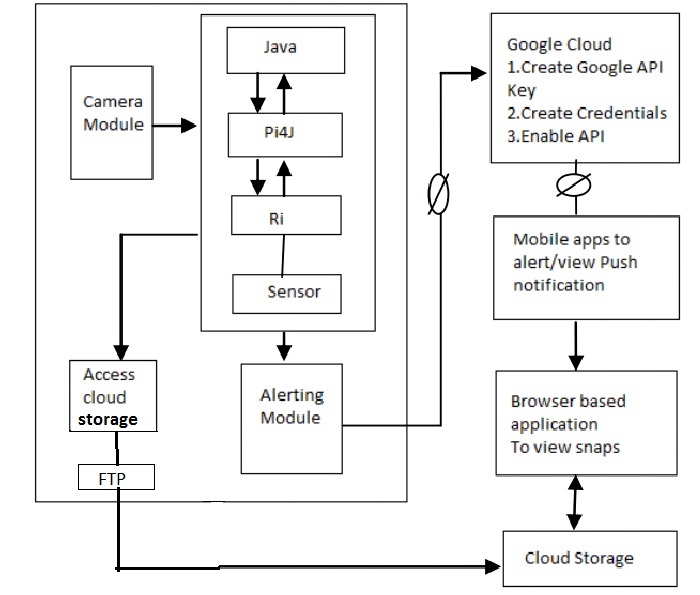 When the presence of fire is detected, a notification is sent through GCM to a custom app along with a URL of the webpage containing images of fire captured by the installed camera. 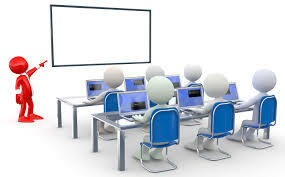 The system will display an image of the room state in a web page. The advantage of using this system is it will reduce the possibility of false alert reported to the administrator. The camera will only capture an image, so this system will consume a little storage and power. Fire is an undesirable event that could bring a great loss of social wealth and human life. To prevent these losses, various alarm systems have been developed such as smoke detectors, temperature sensor based systems etc. As technologies evolved and instruments such as temperature sensors, camera etc. becomes affordable, various automated fire alarm systems are now available. In conjunction with the cheaper instruments, internet based and wireless broadband technologies, have also improved and there are now various systems that enables cheap, high rate data transmission and wireless networking. A Fire Detection System is number of devices working together to detect and warn people through visual and audio appliances when smoke, fire, carbon monoxide or other emergencies are present. The proposed fire detection system is a real-time monitoring system that detects the presence of fire and captures images via a web camera installed inside a room when a fire occurs. The availability of cheap credit card sized single board computer such as the Raspberry Pi has enabled the creation of numerous automated and monitoring system that has low power consumption, faster processing ability at a lower cost. The fire detection system proposed in this project integrates the use of affordable instruments, connectivity and wireless communication. We use infrared flame sensors for the detection of fire. When fire occurs near the region of the sensor, the IR rays of the sensor detects it and the digital pin attached to it goes high and informs the Raspberry Pi board. The program coded within the Pi board executes the next steps of notifying the admin. 3. 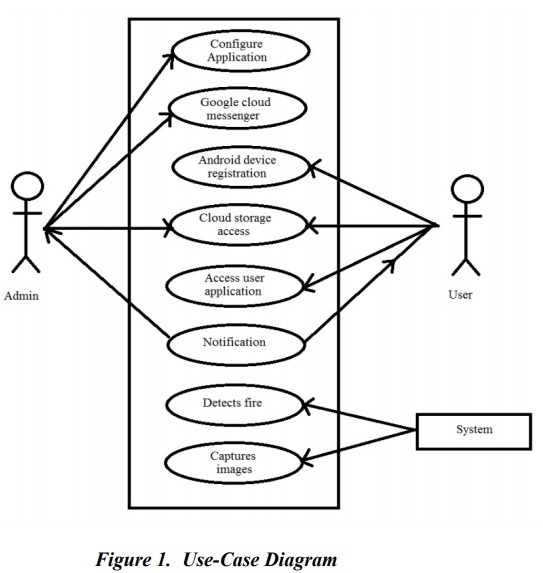 When the presence of fire is detected, a notification is sent to a custom app in the Android device along with a URL of the webpage containing images of fire captured by the installed camera. 4. To display an image of the room state in a web page. A smoke detector is a device that senses smoke, typically as an indicator of fire. Fire alarm system known as smoke alarms, generally issue a local audible or visual alarm on detection of smoke. Generally, fire alarm consists of smoke detectors with a basic assumption that smoke will be generated by the fire. If we detect smoke, then the fire is detected. Even if there is any fire, the smoke may be generated quite later after burning the surroundings. For some fires, smoke may not be generated or it takes long time for the smoke detectors to detect the smoke. 1. Only after detection of smoke, the fire is detected. 2. Even if there is any fire, the smoke may be generated quite later after burning the surroundings. For some fires, smoke may not be generated. 3. It takes long time for the smoke detectors to detect the smoke. 4. Surrounding materials will be burnt till the next precautionary measure is taken. We are developing a fully automatic warning system for potential danger of fire in the monitoring area. The embedded system used to develop this fire detection system is Raspberry Pi. The key feature of the system is the ability to remotely send an alert when a fire is detected. When the presence of fire is detected, a notification is sent to a custom app along with a URL of the webpage containing images of fire captured by the installed camera. The system will display an image of the room state in a web page. The advantage of using this system is it will reduce the possibility of false alert reported to the administrator. The camera will only capture an image, so this system will consume a little storage and power.  When fire occurs near the region of the sensor, the IR flame sensor has to detect it.  The digital pin attached to it has to go high and inform the Raspberry Pi board.  The Raspberry Pi in turn has to informs web camera to capture images of the Surrounding environment.  The program coded within the Pi board has to execute the next steps of notifying the admin using GCM push notification along with the captured images. 1. Instead or along with image surveillance, video surveillance can also be implemented. 2. A buzzer alarm system can be used to warn the surrounding people where the fire has occurred. Fire stations can also be informed while informing the administrator during the occurrence of fire. 3. User can interact with the Raspberry Pi board for more information such as additional images or video feed of the fire. Other sensors can also be added such as smoke sensors to the board. The geographical location of the fire can be estimated by GPS. This study presented the development of a fire alarm system using the Raspberry Pi and flame sensors. The developed prototype offered a feature that enabled verification that a fire actually occurred. The fire detection system warns the user by sending an alert and the image of the fire occurred. This system used low cost, reliable instruments that were suitable to develop a fire detector and affordable as a final year project that enabled students to apply knowledge acquired during the engineering program.